When we asked Jim what should you be looking for in your Real Estate Agent he said: Commitment to his clients, attention to details and excellent results, that's what differentiates the work of the highly experienced residential sales agent. A special ability to commitment combined with a sense of market trends means he is highly valued by both sellers and buyers in the St George and Sutherland Shire areas. 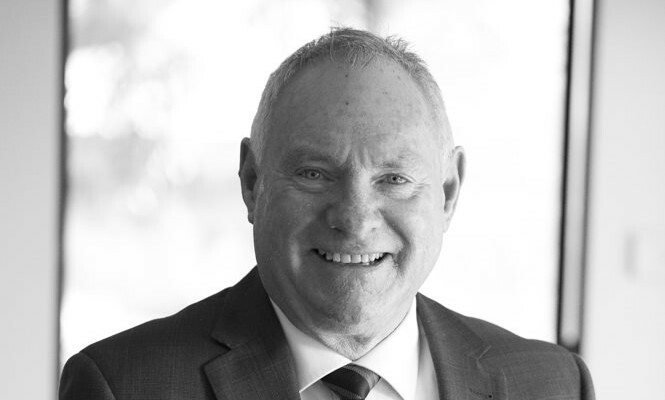 Jim's 30 years' experience in accounting and the real estate industry means he understands the need to devote effort and time to working with clients throughout the sales process, assessing feedback from potential buyers and involving them in decisions. This is what makes the difference and what gets the results! A licensed Real Estate Agent, Jim delivers on his promises, through a high work ethic and a solution orientated outlook for his clients. Jim's proven track record, superior negotiating skills and going that extra mile enables him to deliver the highest standard of service, with the results speaking for themselves. "Great Agent" - Vendor Review. I was selling my mother's house as she had passed away and Jim showed a level of respect for what was a very emotional time for me and my family. His level of communication throughout the four weeks of the auction campaign was first class. Jim called me straight after every open house and conducted many private inspections with the actual purchaser being one of the people who Jim took the time to show the property at a time which suited the purchaser. I would highly recommend Jim to my friends because nothing beats good service. "An Agent Par Excellence!" - Vendor Review. Jim Trammell was recommended to me by friends for whom he had sold their home successfully. From our first meeting, I found Jim to be an excellent and conscientious agent, and I knew he always had my best interests at the forefront of his dealings on my behalf. He was always true to his word, and would do so without fail. I would not hesitate, in my turn, to recommend Jim to any of my relatives and friends if they were in need of the services of a very reliable, conscientious and honest real estate agent. "Very Efficient With Excellent Feedback and Professionalism" - Vendor Review. I would recommend Jim to my friends and family as he was very informative and enthusiastic. "Great Agent" - Purchaser Review. Jim is an outstanding agent. His local knowledge, experience and manner are exemplary. I wouldn't hesitate to recommend Jim. "Excellent Agent" - Vendor Review. Jim provided excellent input into the sale process and was well versed in what was happening within the market and area in which the unit was for sale. His communication during the process was first rate and the result achieved was excellent.